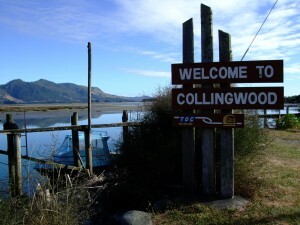 In February I was in Collingwood, a small town in Golden Bay at the top of the South Island. 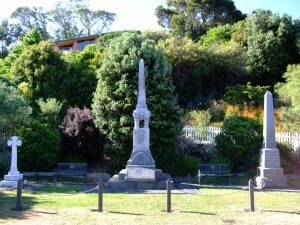 Like many towns and cities around New Zealand, Collingwood has war memorials dedicated to local men who died in both world wars. My grandfather, who was born in Collingwood, was only eight years old when WWI started in 1914. Fifty-four men from the community old enough to fight, lost their lives in the conflict. Amongst these fatalities were the Willicombe brothers, Allan and Cuthbert, and the Harvey brothers, William, Charles, Percy, and Frederick. 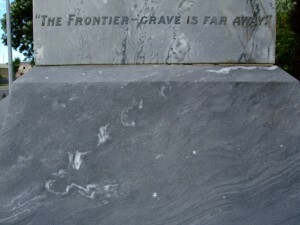 Words engraved on the memorial (‘The Frontier-grave is far away’) remind us that most of the bodies of the servicemen and women killed in the conflict were buried overseas. This absence was sorely felt by grieving friends, relatives, and sweethearts. With no cemeteries to visit, memorials became reminders of lost lives, and sites where war-time sacrifices could be remembered, especially on Anzac Day. Thanks, Jamie, for adding the link.